A full range of trade show table throws, each flame retardant, machine washable and wrinkle resistant with a full set of options for logo and/or message printing. Which type of table throw is right for you? 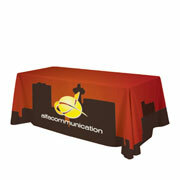 A standard sized throw made to cover all four sides of a 30″ tall table. 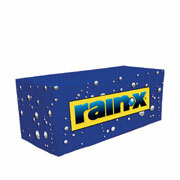 Machine washable, flame retardant, wrinkle resistant. A lower priced throw that covers three sides of a table, leaving the back open. Machine washable, flame retardant, wrinkle resistant. 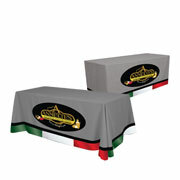 Converts to accommodate two table sizes, as a standard or as a fitted throw. Machine washable, flame retardant, wrinkle resistant. 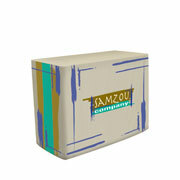 Tailored to provide a ‘box’ fit for a clean, professional look. Machine washable, flame retardant, wrinkle resistant. Tailored to perfectly fit a ShowGoer 4′ Folding Table for a great presentation. Machine washable, flame retardant, wrinkle resistant.